All images ©Karen Hymer; All Rights Reserved. Throughout her work, Karen Hymer intentionally brings the aging female body into view. The images presented in this artist’s debut monograph are culled from two of her recent series of photopolymer gravures: Remnants (2013-2016) and Flesh and Food (2015). Her series Flesh and Food was influenced by the intriguing cookbook Aphrodite: A Memoir of the Senses by Chilean writer Isabel Allende who states that food, like eroticism, starts with the eyes. Hymer’s images pair the body with foods believed to be aphrodisiacs. Fruits and vegetables, once young and luscious but now past their prime, are paired with bodies that display the evidence of age—speaking to us of the memories of youth and beauty. Hymer’s series Remnants explores the relationship between the aging human body and the processes of decay in the natural world. By combining natural elements from the Sonoran desert with the human form, Hymer reveals hidden connections. 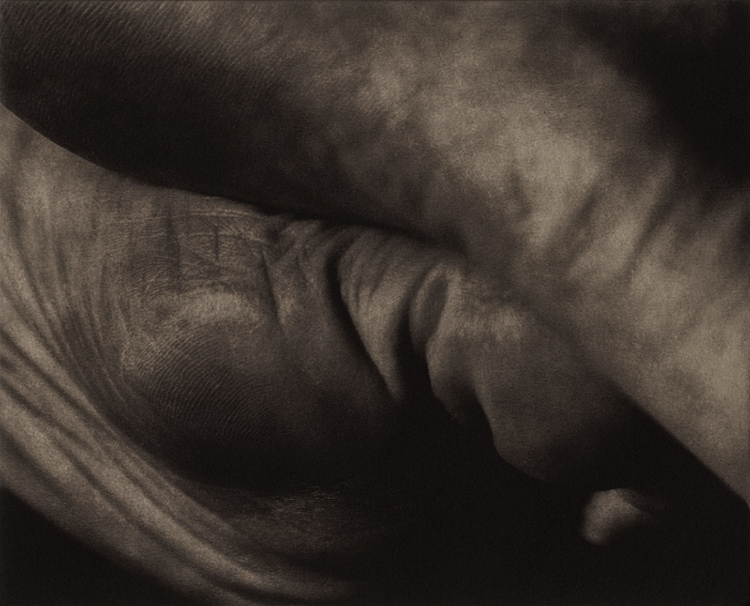 Hymer states, “I grew up in the desert collecting dead animals, dried plants and rocks…Combining photography with printmaking, I emphasize the interplay of texture, pattern, light and shadow, working with the muted earth tones I know best.” In many of these images, Hymer exposes details typically hidden from sight, creating abstract representations that defy recognition. Devoid of context, these images cannot be confidently identified even as male or female, internal or external, healthy or marred. Each texture, crease, and coloration unapologetically marks the vagaries of time, an intimate testament to the mysteries of the aging body. 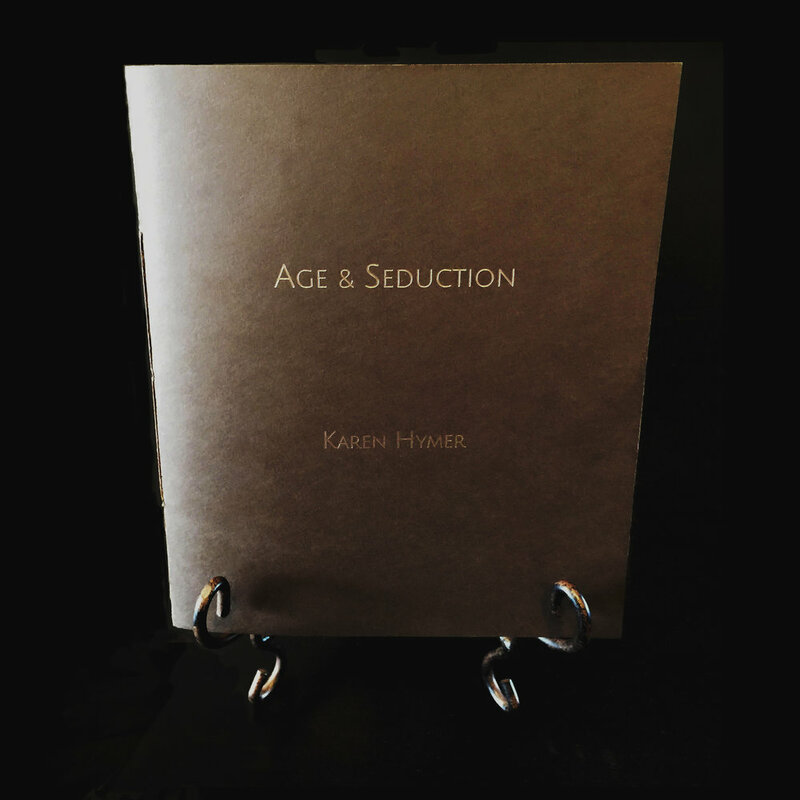 Karen Hymer is a visual artist and educator. Hymer earned her BFA in Photography from The School of the Museum of Fine Arts, Boston and Tufts University, continuing on to earn her MA and MFA in Photography from the University of New Mexico, Albuquerque. Hymer actively exhibits her work both nationally and internationally. Recent venues include the Phoenix Art Museum, The Los Angeles Center of Photography, The Washington Printmakers Art Gallery, The Center for Photographic Arts, and The Center for Fine Art Photography. Her work is in several public collections, including the Polaroid International Collection and the Center for Creative Photography, as well as many private collections. Hymer was the recipient of an Rfotofolio Choice Award, and received the Grand Prize in the International Juried Photographic Solarplate Exhibit at Alex Ferrone Gallery, both in 2016. She received a Contemporary Forum Grant from the Phoenix Art Museum and an Arizona Commission for the Arts Fast Track Grant in 2014. Following the publication of her first monograph by Dark Spring Press in 2018, Hymer will be embarking on the next chapter of her professional career by opening a working, teaching and exhibition space in Silver City, New Mexico within the coming year.